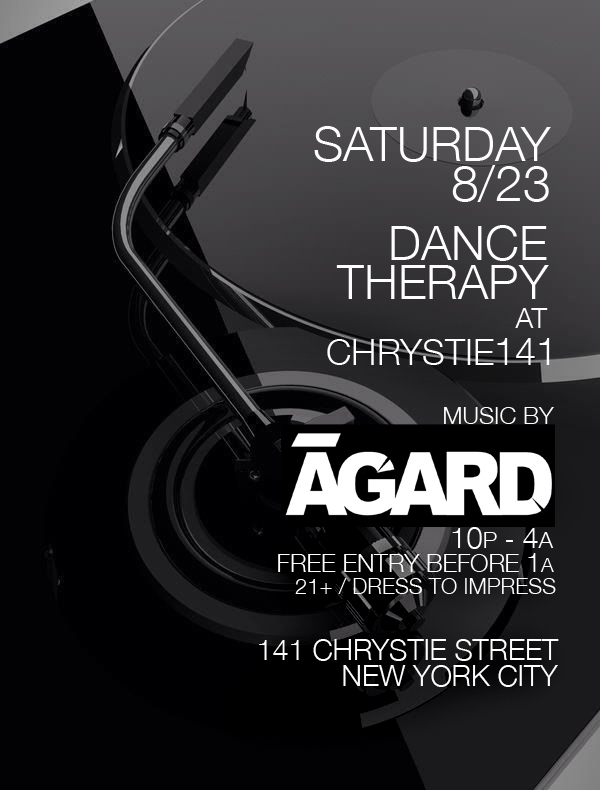 Last week Saturday was the beginning of DANCE THERAPY at Chrystie 141 and we had a blast! This coming Saturday we are going to build upon the past week’s momentum! The concept of DANCE THERAPY is very simple. No matter what happened during the week, whether you need to celebrate or relieve stress, this night is for YOU!